As the world stops to watch the World Cup, it’s worth asking what the most-streamed sports event has been. A major soccer final? The latest Super Bowl? No, believe it or not, it was cricket, and it took place in late May in India. 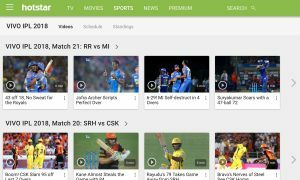 Though televised, Hotstar’s Vivo IPL games still attracted a massive streaming audience. “The two teams have played each other in the IPL on 10 occasions, with the Chennai Super Kings dominating the head-to-head record, winning eight matches while Sunrisers Hyderabad has won only two,” says Parimal Pandya, head of Akamai’s media business in Asia Pacific Japan. The next-largest concurrently viewed online event is Felix Baumgartner’s 24-mile jump from space, which more than 8 million watched live on YouTube in 2012. Hotstar and Akamai knew they had something big this season when, on April 10, their live-streamed match between the Super Knights and the Kolkata Knight Riders peaked with 5.5 million concurrent viewers. And that was just an early-season game. Surprisingly, Hotstar’s Vivo IPL games were televised and still attracted a massive streaming audience. Hotstar parent Star India owns the broadcast and digital rights to the IPL for five years for India and the rest of the world, allowing Star India to deliver the IPL to Indian audiences abroad. 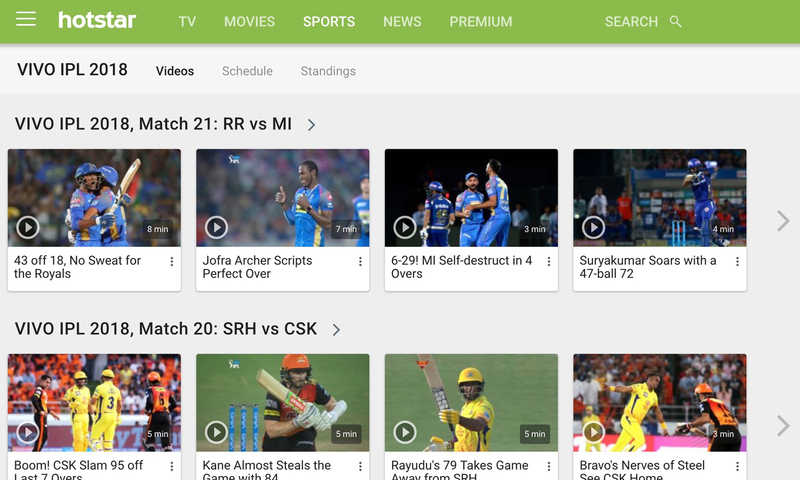 To best serve its customers, Hotstar created a mobile-first experience for this year’s tournament, producing lower-bitrate encodes optimized for smaller screens and lower-bandwidth delivery. “One of the things that’s really important when architecting a streaming solution is making sure that, if you know your audience is coming in for a particular device set, you’re using a bitrate-encoding profile that’s tailored and catered to that device,” explains Shawn Michels, director, media product management, Akamai. Hotstar also created an engaging interactive experience. It included mixing in Watch’NPlay, a game that let viewers test their cricket expertise while watching the game. Social features and even a VR view were also offered. This season’s concurrent–live-views records easily beat Akamai’s previous record of 4.8 million during the ICC Champions Trophy Final between India and Pakistan in June 2017, also a cricket match offered by Hotstar. Akamai’s next-largest live stream was the U.S. presidential inauguration in January 2017, with 4.6 million views. When Akamai’s engineers see that an upcoming event has the potential to create a significant draw, they do a little advance work to prepare for the load. That includes taking a look at their mapping systems to make sure they’ve mapped the event properly, creating a delivery map that not only builds in resiliency and redundancy but also allocates additional server capacity in regions where they expect extreme demand. Akamai monitors high-capacity events to be sure the streaming experience is equivalent to television. For monitoring, nothing beats “eyes on glass,” with personnel in the broadcast-operations center watching the streams as they happen, looking for interruptions or delays. The company also runs load tests to be sure it can scale up based on guidelines determined by the customers. Live-streaming an event carries special challenges, such as delivering the video to customers with the lowest-possible startup time. A two-second startup delay can lose as much as 16% of the total audience; a five-second delay can cause 25% of the audience to go elsewhere. The answer for Akamai is to map and architect delivery systems so that it can always stream video to customers with the lowest startup time. As major live-streamed events grow in importance, Akamai is looking for new technologies that let it provide quick delivery from edge servers. With live streaming to both desktop and mobile playing an increased role in the way fans get their sports, Akamai should have plenty of opportunities to test and refine its systems. Besides IPL cricket, it has worked with the Super Bowl, March Madness, The Masters, and the World Cup.